The most talked about smartphone is without any doubt Samsung’s Galaxy S8. The device was initially slated to be launched during the Mobile World Congress but this didn’t happen. For some unknown reason, the South Korean tech giant decided to change Galaxy S8’s launch date to March 29th. On the bright side, the internet is filled with leaked pictures of the said device. In fact, Evan Blass recently uploaded an official press lender picture of it but we have something even better. We have managed to get our hands on a couple of Galaxy S8+ leaked pictures. 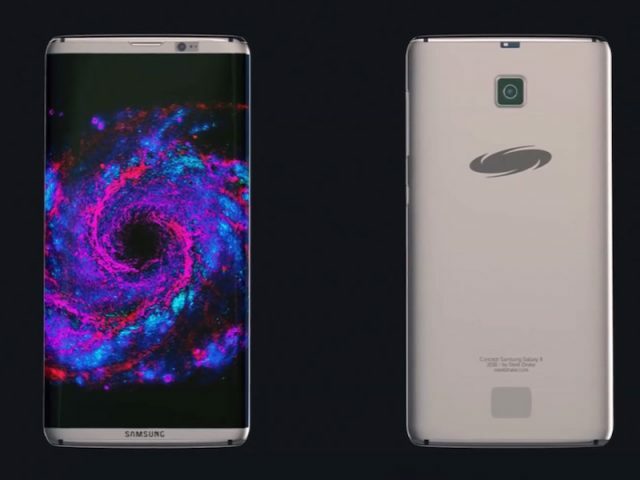 We were able to get a first look at Samsung’s flagship smartphone when Evan Blass uploaded the first press render, but now we are able take a more in depth look at it. First off all, the pictures proves all the rumors surrounding Galaxy S8+’s design. The internet has been buzzing the past few months with rumors and speculations about the device’s innovative edge to edge display. Now it is official, the smartphone will actually ship with a high screen to body ratio, slim bezels and rounded corners. Regarding the device’s display, Galaxy S8+ version will ship with a high-end 6.2 inch Quad HD Super AMOLED panel. This is quite big in comparison with the 5.8 inch display featured by the standard Galaxy S8 variant. Additionally, the battery on the premium model will significantly larger. Other than that, the devices are almost identical. We shouldn’t overlook the device’s hardware performance. The smartphone will be powered by Qualcomm’s very impressive Snapdragon 835 processor. Even better, the chipset will be accompanied by the whopping amount of 4GB RAM and 64GB of expandable storage. What’s really impressive is that the internal storage space can be expanded up to 2TB using a microSD card. Although worth noting is that 2TB cards are quite hard to find. Nonetheless, when the smartphone will hit the market we can be sure that the supply of 2TB microSD cards will increase as well to accommodate the demand.